However, it doesn’t have to be that difficult! To help Resellers ease their migration worries, we’ve recently launched a free, 3-step Migration Process to migrate websites from other hosts using cPanel. In this post, we’ll explore a little about the difficulties faced with cPanel Migration and how to migrate your hosting to ResellerClub! In the case of Reseller Hosting packages, without the WHM backup option the migration process is tedious with users having to backup & restore each account separately. Having the WHM backup option enabled solves this problem but a majority of hosts don’t provide this option in order to minimize server load. With our migration process, we’ve tried to eliminate these issues and offer a seamless experience to users. After considering the feedback of a number of our Hosting Resellers, we’ve created an easy, 3 step migration process that is handled completely by us. All you have to do is contact us and we’ll get in touch with you for more details. Our Hosting specialists will then migrate your Hosting packages over to ResellerClub. 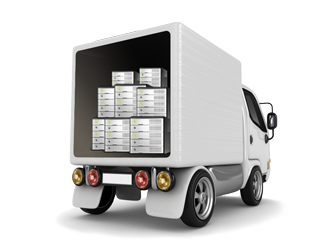 For Reseller Hosting, we will only be able to migrate packages with a maximum of 30 Accounts under it. However, there is no limit on the number of packages that can be migrated. Packages with more than 30 Accounts will be charged based on the number of accounts that need to be migrated. cPanel Accounts with data above 4 GB will not be migrated. That’s everything you need to know about migrating your hosting over to ResellerClub! We’re already seeing a phenomenal response for this service and I hope you make the most of it as well. If you’d like to try out our Migration service, all you need to do is click on the button below, fill in your details and leave the rest to us! If you’ve already tried our new migration process, we’d love your feedback! Do let us know what you liked (and didn’t) in the comments below.